The Guardian has been one of the most inaccurate outlets for reporting what is occurring in Nicaragua. A group of advocates on Nicaragua has written the publication to correct the record, but the Guardian has refused to publish their letter to the editor. The letter is printed below after briefly providing context for the situation. President Daniel Ortega declared the right-wing coup to have been defeated yesterday. In an interview he showed he understands the alignment of forces against Nicaragua’s independence, pointing to more than $30 million spent by the United States to create an opposition. Some of that spending has been used to attack Ortega personally with all sorts of false rumors of stealing from the treasury, creating personal wealth for himself and his family and calling him a dictator. 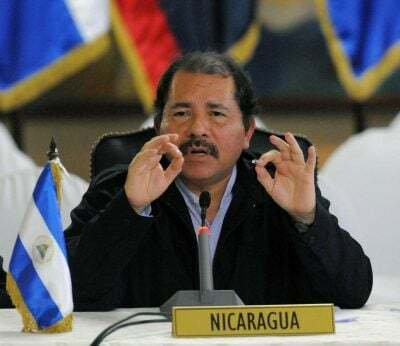 Long-time Nicaragua activist, Chuck Kaufman of Alliance for Global Justice, in the Case Against Daniel Ortega reviews and explodes those myths, a character assassination that have undermined him, even on the left. What is happening is a US regime change operation, working with oligarchs and big business interests in Nicaragua and supported by the Catholic Church, a long-time ally of Nicaraguan oligarchs. The US operates by spending tens of millions annually over many years to create an NGO complex that dominates Nicaraguan human rights groups, environmental, women’s groups, media and others. They have also given aid to a small minority of right-wing youth with tens of thousands of dollars and training. Some of these youth also made a trip to Washington, DC sponsored by Freedom House, long noted for its ties to the CIA, where they met with extremist, Republican Senators Marco Rubio and Ted Cruz and Rep. Ileana Ros-Lehtinen. Rubio recently threatened war in Nicaragua claiming it was in the national security interests of the United States because the conflict would result in mass migration and drug trafficking into the US. He seems willing to make anything up to achieve regime change.